This photo was taken close to the Knockmaroon gates on the way down towards The Furry Glen. The photo was taken on a lovely Autumn morning using a high contrast red filter on the camera to give the sky that lovely dramatic black effect. The photo was taken on Kodak tri-x 120mm film using a Bronica medium format camera. The print was then made in a traditional darkroom on Kentmere paper. The two people in the photo were a pure accident, but I kind of love the scale they add to the trees, I have a version without the people in the shot and you don’t really get a sense of how tall the trees are without them in it. 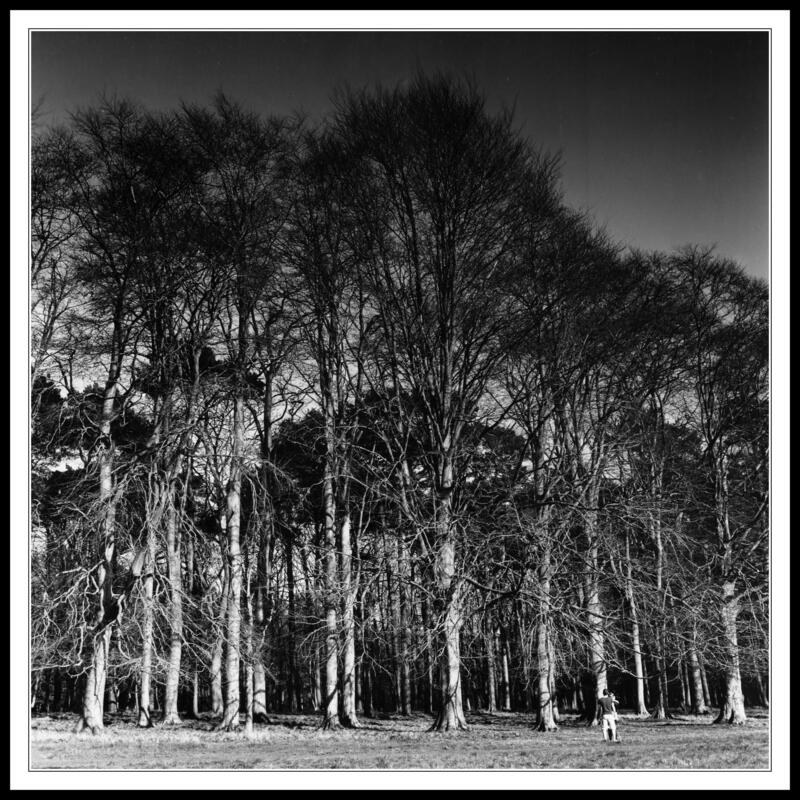 This entry was posted in Black and White Photography, Film Photography, Irish Landscapes, Phoenix Park and tagged Black and White Photography, bronica medium format, Film Photography, High Contrast, Knockmaroon, Kodak Tri-x, Medium Format, medium format camera, Phoenix Park, Red Filter. Bookmark the permalink.